Preschool – $50 per student with a $75 family maximum. Technology Fee – $200: covers the cost of leasing computer hardware/software including, mobile carts and devices. *School and technology fees are non-refundable. Tuition, parish subsidy and fundraising make up the revenue for the school. The K-8 tuition for the 2018-19 school year is $4,725.00. 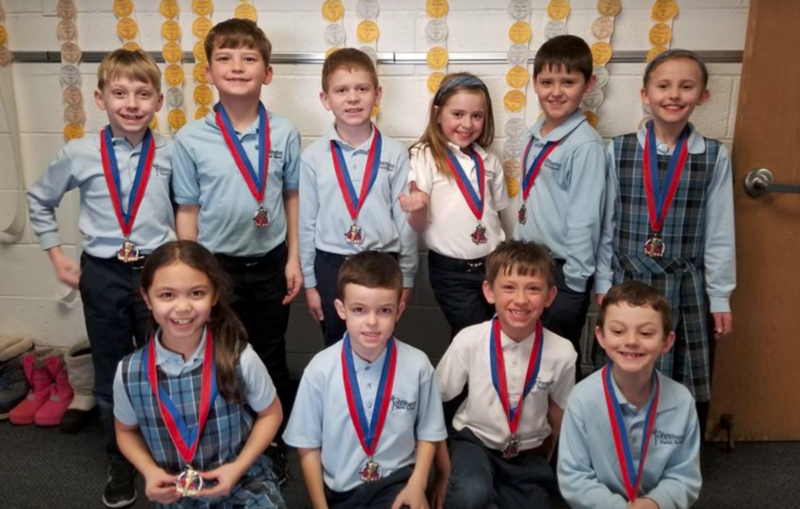 Along with parish subsidy and fundraising, tuition covers school salaries and benefits, textbooks, instructional materials, classroom equipment, staff development, library materials, building costs, utilities, insurance and maintenance. 4th Child Discount 50% off youngest child (Preschool -8th grade) – please see principal for specific amount. Fundraiser payments will be turned in at the time of the fundraiser. (K-8th grade only) All families are required to contribute 20 volunteer hours to St. John’s parish/school. If you choose not to volunteer, you will be assessed a $200 fee to your account. This is a yearly commitment. Families seeking tuition assistance must fill out a tuition assistance form after completing the application and enrollment process. To apply for tuition assistance you will need to complete application through your students TADS enrollment database. Applicant needs are determined by an independent organization which examines a number of different factors and makes recommendations to SJB based upon analysis results. The Pioneer Foundation is another option to help parents fund school tuition. (Some families receive entirely-funded annual tuition in this way). Family members work at concession stands at various metro sporting venues (Target Field, the Excel Center, etc.) and are paid a rate + commission, with the dollars directed to the school for tuition.